I recently visited Salon de Ning, the rooftop cocktail bar atop Manhattan's Peninsula Hotel, and reviewed it for NewYorkology. My review is up, and I have some pictures, too. Below: the Ninglet, one of their signature cocktails. 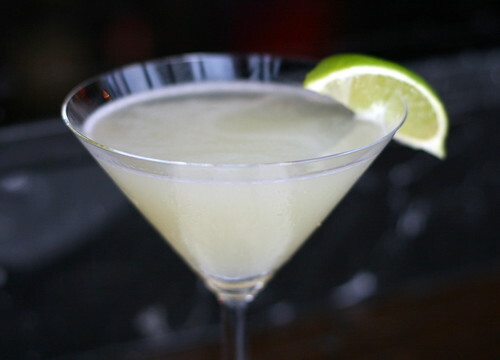 Hendrick's Gin, fresh-squeezed lime juice, and St. Germain elderflower liqueur. No matter how many times I scroll down to look at this photo, I still haven't figure out a way to actually free it from the screen and drink it.